Standing tall at 6441 meters of towering height, Hiunchuli Peak is the fourth highest peak among the trekking peaks in Nepal. Together with Annapurna South, Hiunchuli forms a massive south-facing wall, while its eastern face overlooks the Modi River, guarding the entrance to the Annapurna Sanctuary along with Machhapuchhre Mountain. Technically, Hiunchuli Peak Climbing falls under strenuous category as the already hazardous trekking through the steep rocks is made more arduous with it being prone to rock falls. 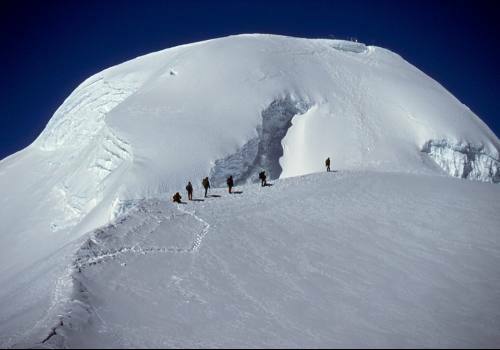 Hiunchuli is a rarely tried mountain and can be accessed either through its South East or North West faces. Few tourists traverse this area, making it all the more special. 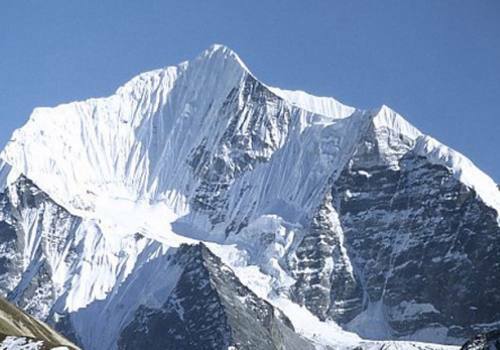 From the North, the mountain rises steeply above the moraines of Annapurna South Glacier in a series of shabby buttresses and abstruse North Ridge. Despite the trekking being arduous, the spectacular views of Annapurna I, Annapurna South, Annapurna III, Annapurna V and Machhapuchhre Peaks will truly make the trekking worth taking. 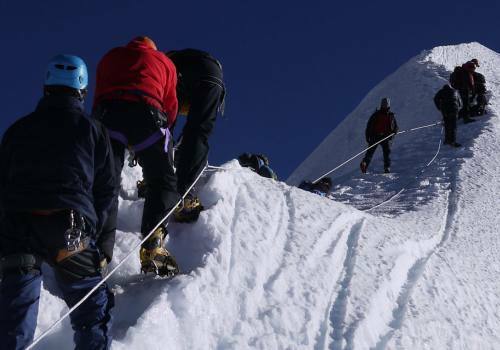 Hiunchuli Peak Climbing at ‘Adventure Himalayan Travels & Treks’ is a 21-day long trekking package organized throughout the year which initiates by leaving from Pokhara and heading along the Annapurna Base Camp trail. The real trekking experience commences from Nayapul when the surreal trail stretches through pretty Gurung Village of Ghandruk to the enchanting Machhapuchhre and Annapurna Base Camp prior to winding up at Hiunchuli Peak. Hiunchuli Peak climbing permit fee. Day 01Arrival in KathmanduRepresentatives from our- ‘Adventure Himalayan Travels’ will greet you in Tribhuvan International Airport and take you to the hotel where you will be shortly explained about your trekking package. You will spend the smooth night at the hotel. Day 02Sightseeing in KathmanduSecond day covers the full day excursion of the cultural heritages existing in Kathmandu Valley. The tour encompasses the Pashupatinath Temple Complex enlisted in World Heritage; The Monkey Temple also known as Swayamvunath; The Bauddhanath Stupa and Durbar squares of Kathmandu, Patan(City of fine Arts) and Bhaktapur(City of Devotees). Day 03Fly or drive to Pokhara25minutes of flight through majestic peaks of Manaslu will take us to Pokhara. Alternatively we can take a bus ride through Prithvi Highway for 6-7 hrs to arrive at Pokhara, where we will stay in a hotel on lakeside. Having boat ride in Phewa Lake especially in the evening will be full of fun. Day 04Drive to Nayapul, Trek to GhandrukDriving to Nayapul from Pokhara, the trek begins through the terraced hillside. 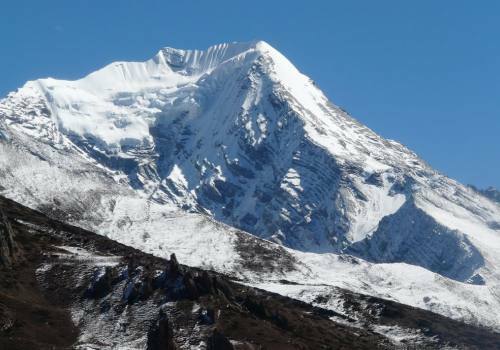 It is bound within the Annapurna Conservation Area Project (ACAP). Several hours later, we reach to Ghandruk, passing the paddy fields and enjoying the scenery of the Bhurungdi Khola. Overnight at guest house. Day 05Trek to ChhomrongWe will pass through plains, terraced agricultural fields, streams and green landscape to reach to Kimrung Khola, where we climb up through rhododendron forests and beautiful terraces to arrive at Chhomrong. Overnight in guest house. Day 06Trek to DeuraliLowering down through Ghandruk Phedi, we will cross the suspension bridge to be at Landruk which is the second largest village of the area. Passing through Pine woods famous for bird watching, we cross one last stream to make it to Deurali. Overnight in guest house. Day 07Trek to Annapurna Base CampThe trail continues through alpine meadows and ascends through the rocky arid path to Annapurna Base Camp (4170m) altitude which allows 360degree views of several mountains. Overnight in guest house. Day 08Rest in Annapurna Base CampTaking rest from the arduous trek is necessary for acclimatization to avoid high altitude sickness and also providing relief to our strained body. Walking around is recommended by experts rather than sitting idle to prevent altitude sickness efficiently. Overnight in guest house. Day 09Trek to Kharka CampEarly in the morning, we will lower down the stony path along few streams to make it to the plain land where yaks can be seen grazing. Kharka in English translates as ‘Cattle Shed.’ We will camp in some clearings at Kharka. Overnight in tented camp. Day 10Trek to Hiunchuli Base CampLeaving the camp at Kharka, we will walk through the series of up and down to arrive at Base Camp. We will arrive at Hiunchuli Base Camp in the evening where we will camp nearby the boulders. Overnight in tented camp. Day 11Rest at Hiunchuli Base CampWe will take much needed rest this day. 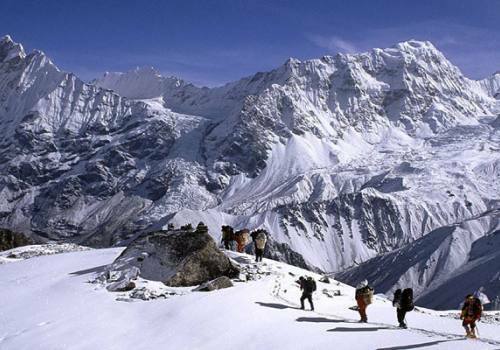 It is essential for acclimatization to avoid high altitude sickness. Walking around is recommended by experts rather than lying idle to prevent altitude sickness. Overnight in guest house. Day 12Trek to Hiunchuli High CampFrom Base Camp, we will move to Hiunchuli High Camp which takes about 5 hours of strenuous walking. We can enjoy the spectacular views of Majestic Annapurna I, Machhapuchhre, Singu Chuli and Tent Peak from the high camp. Day 13Trek to Hiunchuli Camp IThe trail ascends further through the rocky and difficult path to Hiunchuli Camp I, giving you 360 degree, jaw-dropping views of Annapurna I, Machhapuchhre, Singu Chuli and Tent Peak. Day 14Fix the Rope/Rest DayAs mentioned earlier, Hiunchuli is a technical mountain. We need to make our own way through axe and fixing ropes. This days will be utilized by making the way towards summit. Our guides will give instructions on how to help do this. Overnight in tented camp. Day 15Climbing Day, Back to Base CampConquering the mountain and reaching to the summit is a great reward in itself. We will be gifted with some of the most amazing views in the world. We will be engrossed in the incredible close-up views of Annapurna I, Machhapuchhre, Singu Chuli, Tent Peak and several other mountains. These are truly the tallest mountains in the world and you will feel like you are witnessing something special. Despite the trail following the steep mountain, the return trail will be comparatively easier than the way up. Arriving in the base camp, we will take rest from the journey. Overnight in tented camp. Day 16Trek back to Annapurna Base CampFollowing the trail through Annapurna South Base Camp, we will make it to Annapurna Base Camp where we will be staying. Overnight in guest house. Day 17Trek to BambooLeaving Annapurna Base Camp behind, we will lower down through Barah to the pasture land of Tomo and Panchen. We will continue walking through bamboo woods to bank of Modi River which later takes us through Kuldi Ghar to Bamboo. Overnight in guest house. Day 18Trek to Jhinu DandaA walk of about 6 hours through the Gurung Village of Ghandruk will take us to beautiful Village of Tolkha located at 1940m altitude. Take a nice relaxing dip in the healing hot springs of Jhinu Danda. Overnight in guest house. Day 19Trek to Bhirethanti, Drive to PokharaAn easy walk of about 5hours will lead us to Bhirethanti. After the short trek, we will take a bus ride to be back to the hotel at Pokhara. Use the rest of the evening to explore Pokhara. Relax and enjoy, you deserve it after this trek! Day 20Drive to Kathmandu5hours long scenic drive through Prithvi Highway will take us to Kathmandu. We will stop at Malekhu to try its reputed fish. The second option is to fly from Pokhara to Kathmandu which will take us to Kathmandu in comforting flight of mere 25 minutes. Farewell dinner in the evening. Overnight at hotel. Day 21DepartureWe will assist in your last minute packing and then our representative will leave you to Tribhuvan International Airport from where you can return back to your home or yet another destination. We look forward to seeing you again!